Comfort and a warm welcome await you at Sherwood's,a charming Victorian country house owned and run by Derek and Daniela Wasley. 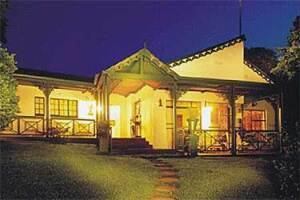 Set in the magnificent Agatha mountains and forests 13 km above Tzaneen. 7 en-suite bedrooms,a home from home ambience,peace and privacy is assured. All rooms opening onto the gardens deluxe and classic rooms have small sitting areas,cosy log fires and private verandahs.